I love cookbooks. As much as I use the internet as my main resource for recipes, I love the feel of a solid good cookbook. I read them like bed time stories, pausing to look at beautiful photographs and fantasizing about recreating dishes in my own kitchen. Clearly I can’t be the only one, because there have been tons of new release in the last little while. Here’s a round-up of the ones that have caught my eye. 1. The Art of Eating Well: Hemsley and Hemsley: By now we all get that eating healthy is a lifestyle approach. What better way to encourage that than delicious, accessible meals? 2. Plenty More by Yottam Ottolenghi: I’m always looking for new interesting ways to make vegetables. Now I just wish I had a fresh herb garden year round. 3. Cairo Kitchen by Suzanne Zeidi: My love for Middle Eastern food holds no bounds, and it’s about time I learn how to make some of my favorite meals. 5. A Modern Way to Cook by Anna Jones: Packed with vegetarian recipes that can be made in under 30 minutes. Ideal for the real world where you just give in after a long day of work and throw a frozen pizza in the oven. 6. Audrey at Home: Memories from my Mother’s Kitchen by Luca Dotti: Both a scrapbook of Audrey Hepburn’s life and a cookbook, nostalgia-lovers can fully indulge in the vintage photographs, anecdotes and foods from another time. 8. Simply Nigella: Feel Good Food by Nigella Lawson: are you noticing a trend here? Cooks offering recipes that are less complex, more accessible? Well last but not least, Nigella is on board, offering meals that can easily be made during your workweek. Butternut and halloumi burgers? I’m totally down. Anything I missed? What are your favorite cookbooks? I swear I’ll post something healthy soon, but for now let’s just indulge ok? Besides, these guys are meant to be shared and savoured, so portion size is very much under control here. I saw this a while ago on Joy the Baker, and decided to take it to the next level by adding bits of Skor toffee on top. Toffee bits are pretty much crack for someone with a sweet tooth, by the way. -1/2 a bar of dark chocolate broken into small chunks. 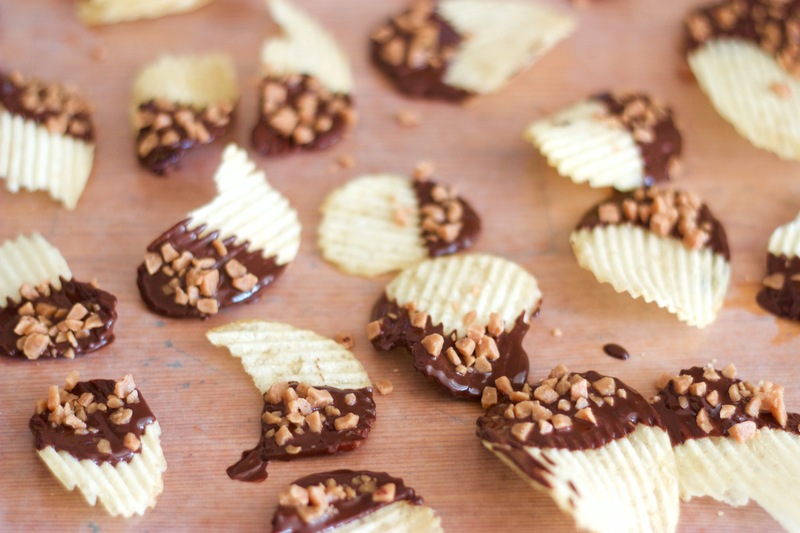 Chocolate chips could work too. Pour some water into the pot, about 1/4 full. Add the bowl (metal or glass) on top, creating a bain-marie (a.k.a. double boiler). Add the chocolate pieces, turn the heat on low and stir frequently. 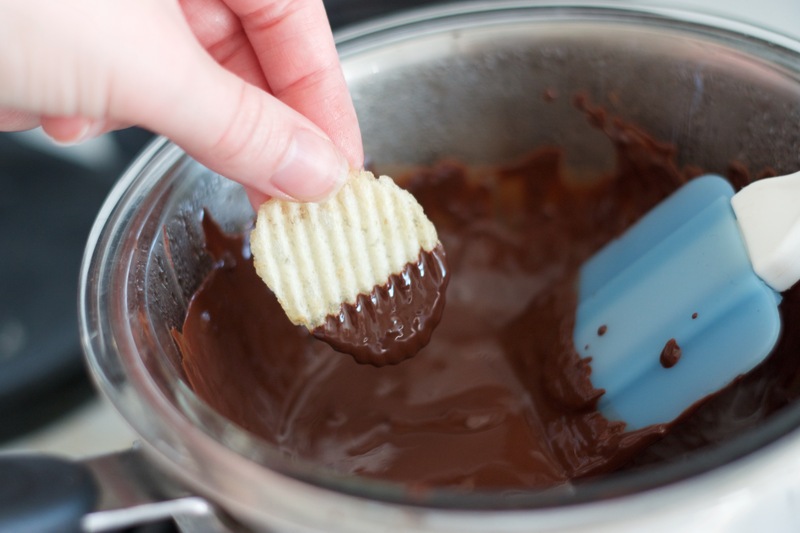 This method is key for melting the chocolate without burning the bottom. Once melted, add the vanilla and coconut oil, stir. 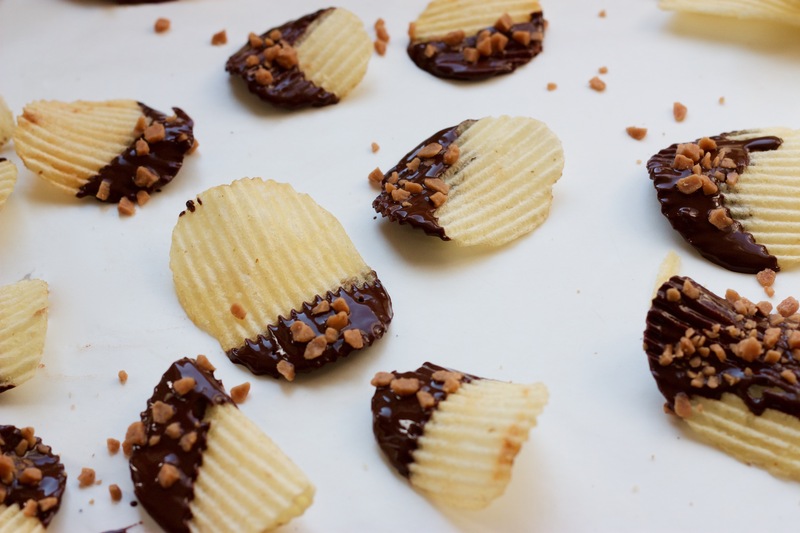 Carefully dip chips and place them on parchment paper, adding the toffee bits while the chocolate sets. You can put them in the fridge for 15 minutes or so, just not too long or the chips will start to get soggy. Enjoy (in moderation! ), xo. For the crust, cream the butter and sugar until light in the bowl of an electric mixer fitted with the paddle attachment. Combine the flour and salt and, with the mixer on low, add to the butter until just mixed. 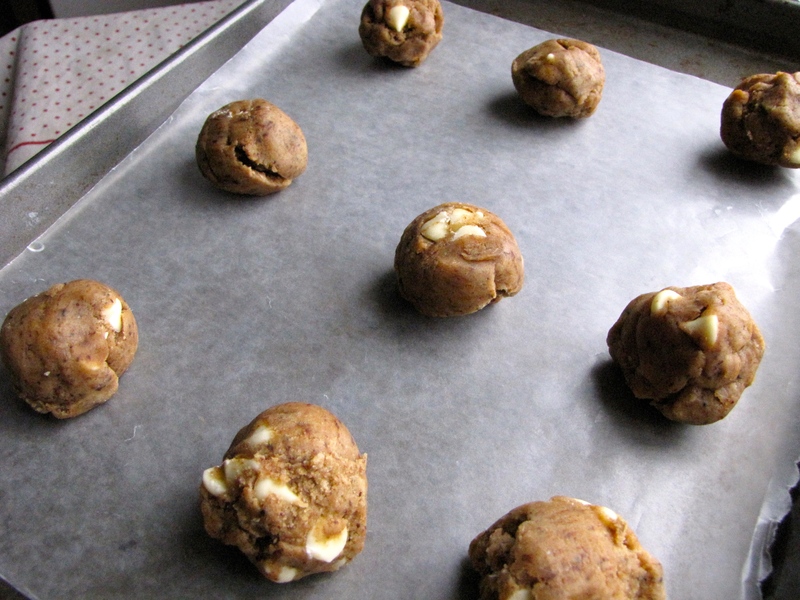 Dump the dough onto a well-floured board and gather into a ball. Flatten the dough with floured hands and press it into the greased baking sheet, building up a 1/2-inch edge on all sides. Chill for about 15 minutes. Bake the crust for 15 to 20 minutes, until just golden. Let cool on a wire rack for about 15 minutes, (you can keep the oven on). For the lemon layer, whisk together the eggs, sugar, lemon zest, lemon juice, and flour. Pour over the crust and bake for 30 to 35 minutes, just until it’s set (make sure the centre isn’t too gooey). Let cool to room temperature. 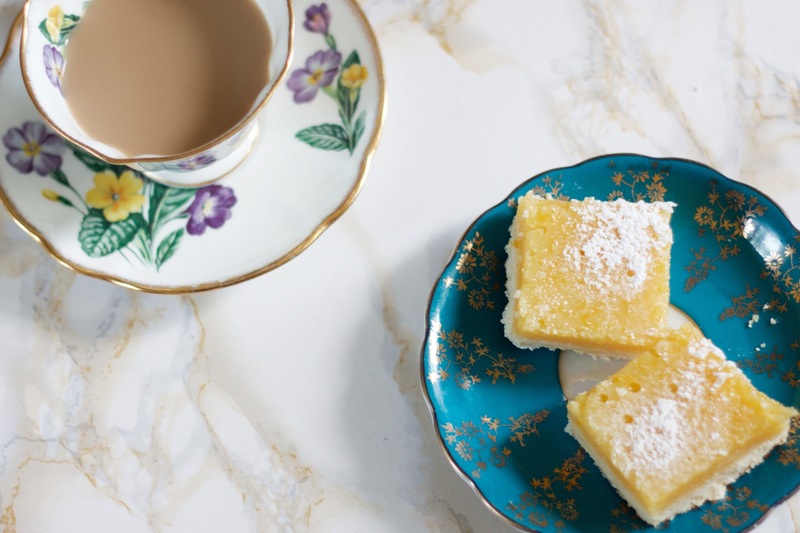 Cut into rectangles and dust with confectioners’ sugar using a fine mesh sieve. Enjoy! Come to think of it, I should just change the title to “My Favourite Cookies in the World”. Especially lately with all the spring rain. What’s better on a rainy day than drinking ridiculous amounts of coffee? 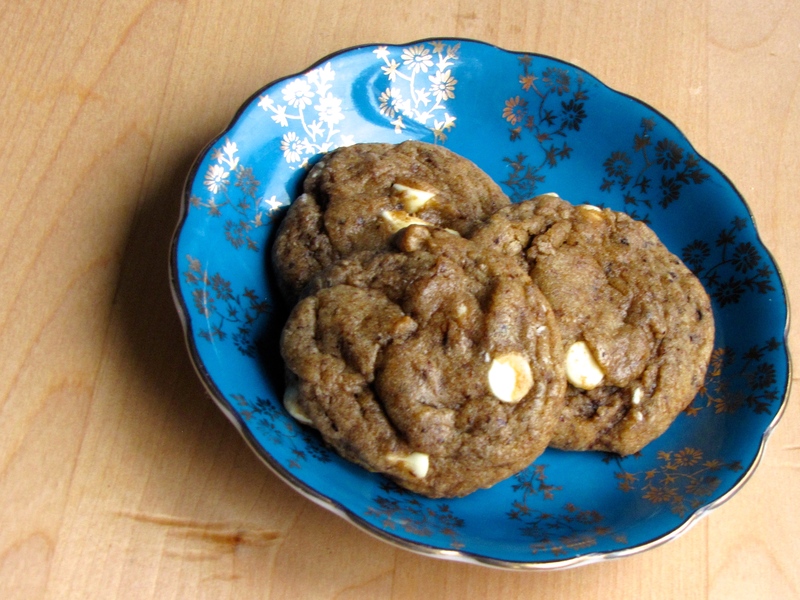 The answer is eating coffee-flavoured cookies from Joy the Baker. 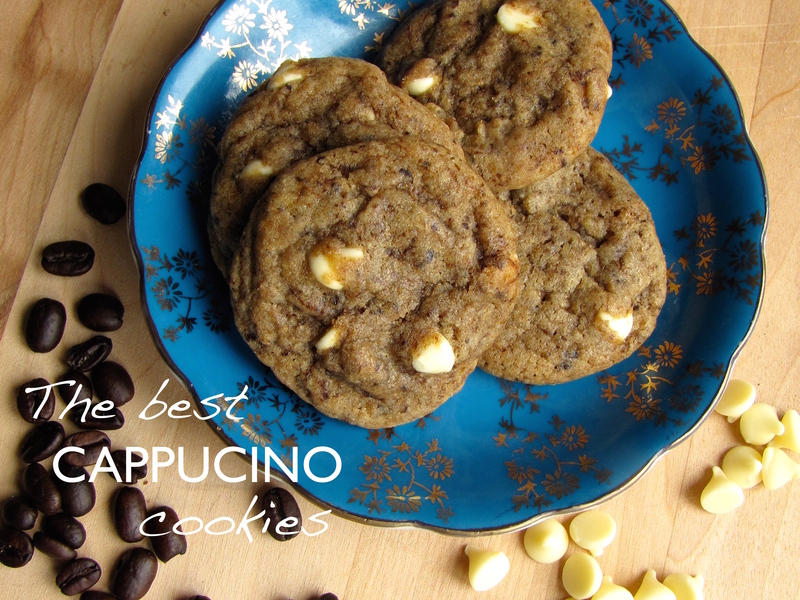 Think of the best frappucino you’ve ever had, and then picture it in edible form. -Do not forgo the parchment paper! Or grease the hell out of your baking pan. A burnt cookie is a sad cookie. “Place racks in the center and upper third of the oven and line two baking sheets with parchment paper. Set aside and we’ll preheat the oven after we chill the dough. In a medium bowl, whisk together flour, baking soda, salt and instant espresso powder. In the bowl of a stand mixer fit with a paddle attachment, beat together butter and sugars until light and fluffy, about 3 to 5 minutes. Stop the mixer and scrape down the butter mixture with a spatula. Add the egg and egg yolk and beat on medium speed until mixture is fluffy, about 1 to 2 minutes. Beat in the vanilla extract. Stop the mixer and add the dry ingredients, all at once to the butter mixture. Beat on low speed until just combined. Stop the mixer, add the chocolate chunks and fold together with a spatula until well combined. 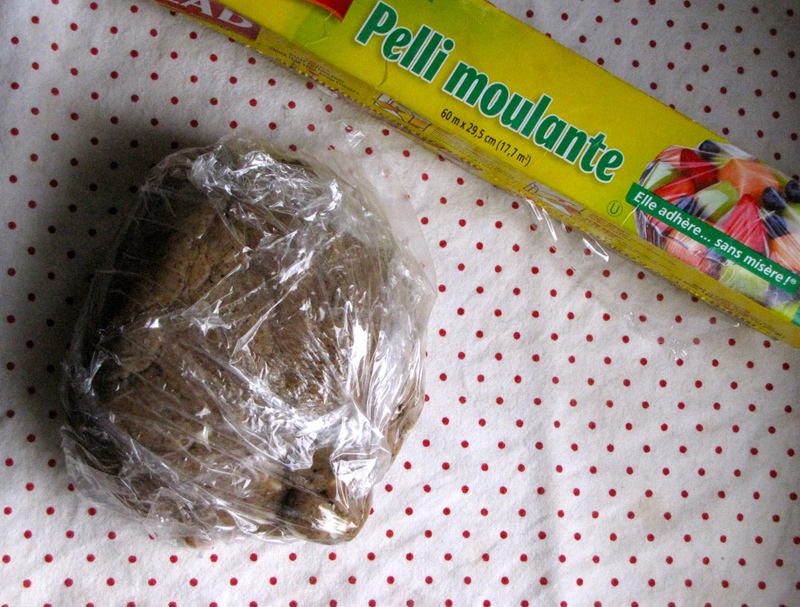 Cover the dough with plastic wrap and refrigerate for about 45 minutes. Into the fridge you go! 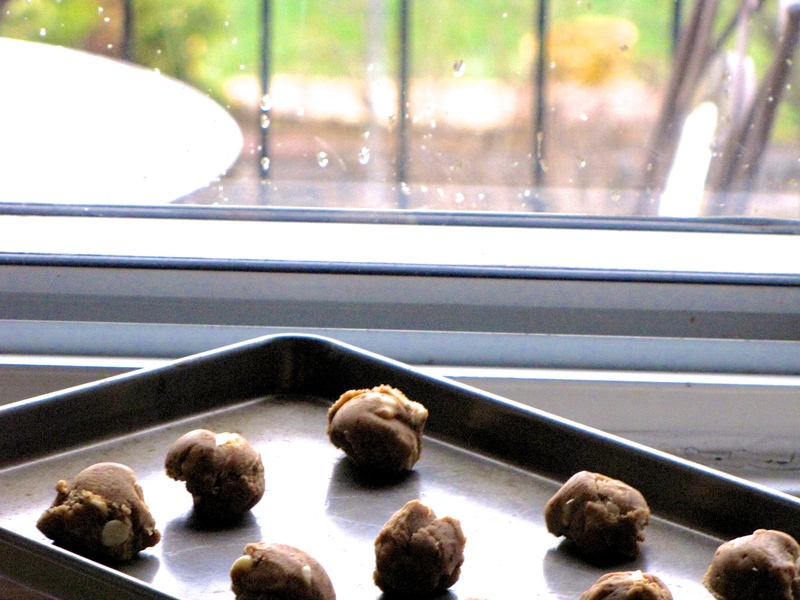 Just before you’re ready to bake the cookies, preheat the oven to 350 degrees F.